Fashion designing and missions – who would have thought the two could go together. But believe it or not they have – and in Uganda of all places. It all began after Angela Fisher went on a short term missions trip to Africa after having seen the Watoto Children’s choir perform. It was that experience that changed Angela’s life. This really impacted Angela’s life to the extent that soon she was Africa bound. But this was no ordinary house. It was an orphanage – purpose built to house eight orphans and a house mother. With this first missions trip behind her it wasn’t long before Angela turned her missions activity into a habit. And it became a habit of making each missions trip longer. “Each time I went and spent any time in the developing world I didn’t want to come home!” said Angela, who admitted she enjoys her creature comforts. Yet it had been a different story on the short term mission trips saying she was among those who were usually quite anxious to get back home. Angela was married with children and her priority at the time was taken up attending to her household responsibilities. Eventually the calling on her life to go into full-time missions came to pass. She left Australia but with no clear idea what she would be doing although Watoto Ministries was not concerned. The surprise for Angela was revealed upon her arrival in Africa. “Once I arrived I found out they had actually been praying for someone with a design background to help them create the products they train the women to make,” Angela shared, saying the jewellery is sold when the Watoto children’s choir goes on tour. Angela is of the belief that whatever it is you’re passionate about, those things aren’t random and God can use them. “Our passions and gifts are God-given and I think we can use them with whatever we have in our hands, to reach out to those who are suffering wherever they are,” Angela commented, saying that maybe in Australia or in another country. “For me at that time it just happened to be in jewellery design in Uganda. They’d been making jewellery but it was very limited and what they had wasn’t selling when they were traveling,” Angela said, saying they were in a need of fresh products. The story of Watoto is one of hope, transformation and empowerment. Since 1994, Watoto has enabled thousands of disadvantaged children and adults to regain control of their lives and to realise their potential. Watoto Children’s Choirs have travelled extensively since 1994, sharing a message of hope for Africa’s orphans and widows. To date, the choir has toured six continents and performed to enthralled audiences in schools, retirement homes, churches, parliaments, state houses and royal palaces. 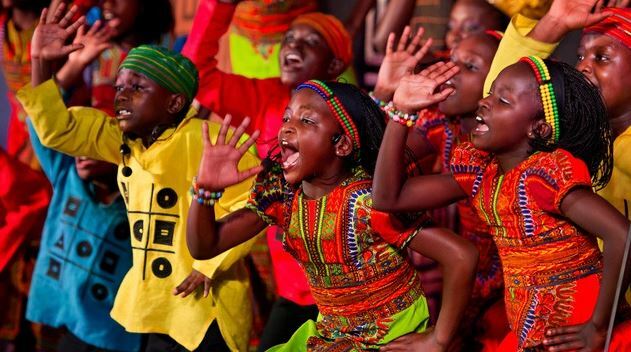 The Watoto Children’s Choir concert acts as a fundraising event for Watoto. Watoto Child Care Ministries has cared for more than 4,000 orphaned and vulnerable children since it was established in 1994, with over 3,000 currently receiving care. Some are former child soldiers and some were born to rebel leaders during the civil war. Many of these children have gone on to become lawyers, teachers, computer scientists, journalists, farmers and doctors. As a result of the care and education they have received, they are now impacting society in a positive way.